I read an article last week on quantum robots. The article was a bit confusing. So here is my own research on the topic. Hope it helps you understand how he gets to his conclusion that quantum robots are faster, more accurate, and are able to multitask better than the standard robot. 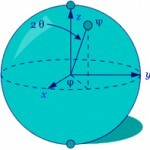 A machine capable of carrying out a complex series of actions automatically. (esp. in science fiction) A machine resembling a human being and able to replicate certain human movements and functions. All robots use computers to consume information about their environment and act upon those inputs according to the code they are loaded with. the symbolic arrangement of data or instructions in a computer program or the set of such instructions. The robot’s code is usually written for the capabilities of the CPU (central processing unit), meaning that the code only asks the hardware for answers so many times per second. The hardware speed plus the complexity of the math problems in the code determines the reaction speed of the robot and the number of things it can do at any one time. That last sentence is a bit misleading it assumes that power is not a limitation, meaning that the robot has more than enough electricity to allow the CPU, the robot’s sensors and the robot’s mechanisms to operate simultaneously at max speed. As robots are created to do more things at a single time that are increasing in complexity the computer controlling the robot starts to become the limiting component. So in response robticists are adding more computing capability to their robots. That increasing capability requires more computer volume/weight, more structure to hold the computer and more power to maintain maximum computing capability. With that understanding you can now ask the question; if robots could increase their computational capability without additional weight or power demands than could robots become more capable in the future? The answer is yes and that is where quantum computing comes in. A computer that makes use of the quantum states of subatomic particles to store information. Quantum computers are pretty cool. And Lockheed martin just announced that they have the first quantum computer ready for testing. If they get this computer working they will change the world. Quantum computing has the potential to render all of the world’s current cyber security useless. This article does a great job of describing the movie Sneakers…..I mean the future if quantum computing is real. To go into what a quantum computer actually is just a waste of time when it comes to understanding what a quantum robot is in my opinion. The end result is that quantum computers are just computers that can handle significantly more calculation for the same weight and power consumption as a comparably sized computer. Meaning my robot can get a significant computer and code upgrade without any impact to the system or structures of the robot. Not as cool as what I thought quantum robot were before I started reading the article but, still exciting none the less. Let’s get the quantum computer working first and then worry about the quantum robotics later. I am always amazed by the creativity of people. 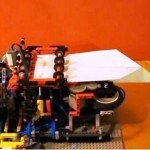 Someone was able to make a lego machine that consumes paper, makes a paper airplane and then launches said airplane. Some of my other favorites are the Lego CNC controlled lathe. I also love this one that recreates one of the original computers the Antikythera Mechanism. What are your favorite lego machines?